Little M didn’t have any cradle cap at all for the first few months of her life, and I thought we’d got away with it. Alas, it appeared at about four months and kind of hung around. If you don’t know what cradle cap is, it’s a skin condition which affects the scalp, and looks like greasy, yellow flakes. 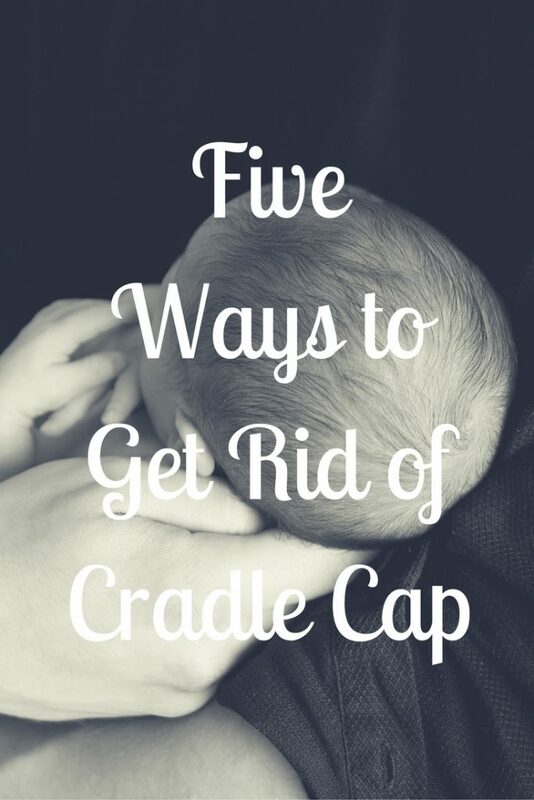 It’s perfectly normal and will go away by itself eventually, but if you’re impatient like me, here are five ways to get rid of cradle cap. Note: I am not a doctor and if you’re in any way concerned about your baby’s skin, please seek medical guidance. You can’t see any cradle cap in this photo but she’s cute, right? 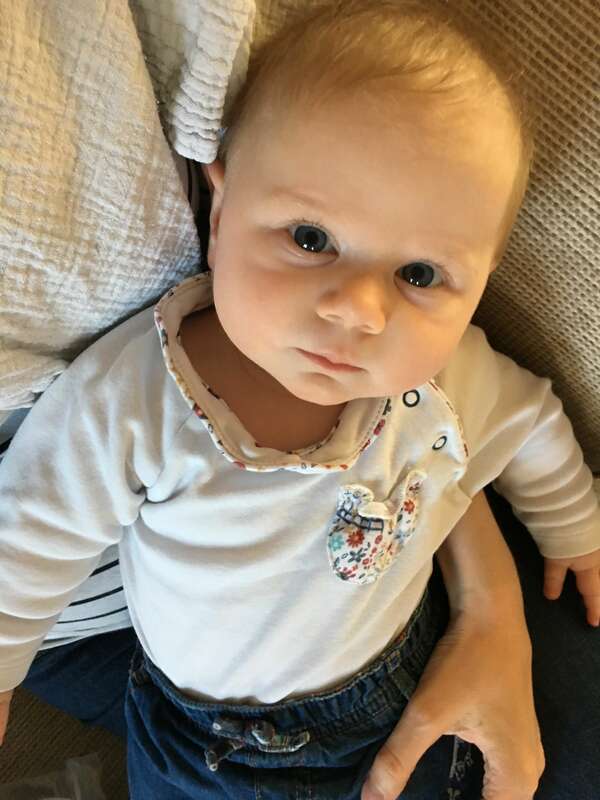 My friend absolutely swears by olive oil for getting rid of her baby’s cradle cap – and she had quite a bit of it. Just rub it into the scalp, leave for a few hours and wash off. We used coconut oil on Little M’s cradle cap after hearing about it from a friend. Be warned though, we found it quite difficult to wash out and she smelled like a coconut for weeks! Not necessarily a bad thing, if you like coconut! The NHS website suggests giving almond oil a try. It also mentions not to use any kind of ground nut oil or peanut oil though, so don’t go shoving any old nut-based oil on your baby’s head! I’ve heard this mentioned many times, but never spoken to anyone who’s actually used it. Might be worth a try if the more natural oils haven’t done the trick? If all else fails, you can see your GP for some specialist shampoo. The chances are they’ll tell you that it’ll go away by itself, but if it hasn’t disappeared using the more natural methods mentioned above, then you might want to get it checked out, just in case it’s something else. I hope you find these ways to get rid of cradle cap helpful! Have you used something I haven’t mentioned to rid your baby’s head of cradle cap? I’d love to hear about it in the comments. You can read another parent’s account of cradle cap, and how they tackled it, over at Kit’s Toys. "Meet the Parents – Advice for New Mummies and Daddies from Quite Frankly She Said"
"JORD Designer Wood Watch: Review"
N had cradle cap but I didn’t know what it was until a health visitor mentioned it when he was about 10 months old. It wasn’t flaky or yellow but looked more like light brown freckles. My friend used olive oil but it was so disgusting and greasy I couldn’t bear using it. We tried Dentinox shampoo which helps but we don’t use shampoo much on N so it didn’t do alot.